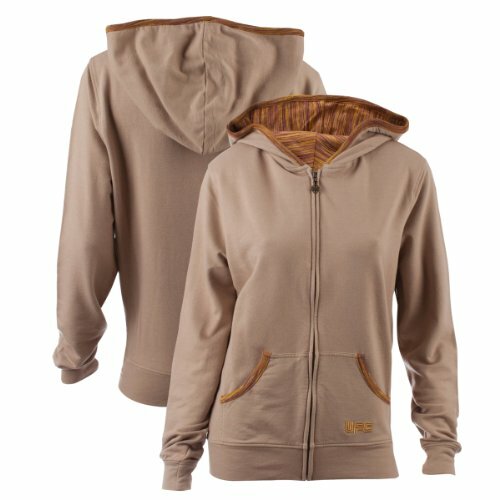 The Day Dreamer Zip Hoodie is no ordinary slouch-wear. Major style is built in to the stretch french terry with alternate space dye ribbing at hood and pockets, and hood lining. The Day Dreamer Hoodie french terry is woven with cross dye yarn made from cotton/poly/spandex, giving it a subtle heathered effect. UFC logo embroidered on front pocket.